Sandeep Aggarwal, who founded e-commerce company ShopClues and used automobiles marketplace Droom, has invested in Tel Aviv- and Chicago-based venture capital firm Lionbird Ventures, the entrepreneur and investor told VCCircle. “The firm is run by people who made the first angel investment in their personal capacities in both Droom and ShopClues. I’ve known them for the past ten years now,” Aggarwal said. Lionbird Ventures was founded by Chaim Friedman, who co-founded laboratory informatics company Starlims and sold it to Chicago-based Abbott Laboratories. Aggarwal also added that he would be investing as a limited partner in a couple of more venture capital firms in the coming months. It could not be immediately ascertained if this was the first close of the fund and whether the fund has made any investments. Email queries sent to Friedman did not elicit a response at the time of writing this report. 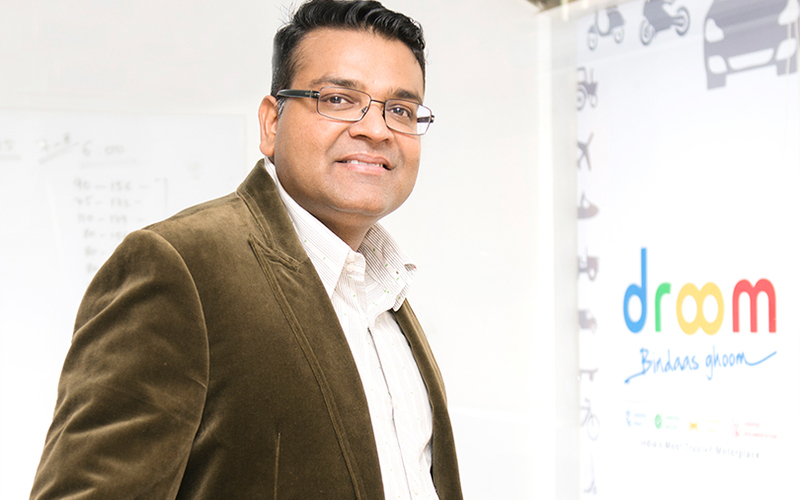 Aggarwal established ShopClues in 2011 and later launched Droom in 2014 and has been a startup investor since 2003. In 2016, he invested $500,000 in seven early-stage firms in India and overseas such as Dekoruma, Wydr, Shopsity, Data Guise, Give Club, Duriana and Curo Healthcare. Besides India, Aggarwal plans to look at Southeast Asia for startup investments. He has also set up his family office, called Digital Route, to make all his future investments in early-stage ventures. The investments are made through his personal wealth, which he earned from his career abroad as an investment professional. “The market had been very precarious last year, so I spent less time making angel investments. But we are still on track to spending $3 million in a dozen companies in the next year as the market improves,” Aggarwal said. In an earlier interaction with VCCircle, Aggarwal said that he would be investing in consumer Internet companies with a focus on healthcare, retail and fintech besides enterprise tech and data science. Many leading Indian tech startup founders such as Flipkart’s Sachin Bansal and Binny Bansal, Snapdeal’s Kunal Bahl, Paytm’s Vijay Shekhar Sharma, InMobi’s Naveen Tewari and FreeCharge’s Kunal Shah have been prolific angel investors backing and mentoring dozens of startups besides running their own ventures. Flipkart’s Binny Bansal, MakeMyTrip’s Deep Kalra and Info Edge’s Sanjeev Bikchandani had along with the International Finance Corporation invested in fledgling early-stage fund, pi Ventures. Sandeep Tandon and Shah, co-founders of payments startup FreeCharge that was acquired by Snapdeal two years ago, have also floated a venture fund called Whiteboard Capital. Shah, however, has stepped down as a partner from the fund.